The festival of Holi, typically marks the end of winter and the arrival of spring. People in different parts of the country celebrate Holi by splashing coloured water over each other, signifying the bright profusion of summer colours in nature . However, keeping in mind the current scenario in our drought afflicted water starved nation, Witty World celebrated Holi in a unique yet colourful manner, without wasting a drop of water!! 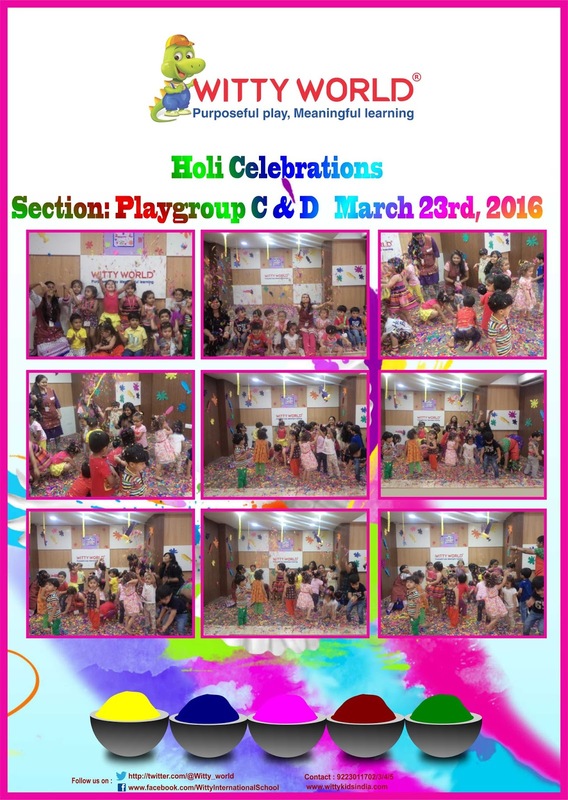 Instead of the typical pichkaris and water guns, children came equipped with colourful shreds of waste paper.They had a great time showering each other with coloured paper while at the same time chanting HOLI HAIN! !